Never underestimate the power of women! It's WOMEN time now! Nowadays, women are more independent, unlike the past. It's really great to see women stand up by their own, strong-willed, owns a DREAM and fighting for themselves. Women with their own career achieve more self-confidence as they make decision on the path they would take and break through to the happiness, success, and reward they achieved throughout their career. In fact, independent ladies are always somehow more attractive and successful. Everyone deserves a better life, and we likely want to be our own boss and having a career that’s ours interest. Now the chances has come! Guess what, Lactacyd offers a "Veni Vidi Vici" Contest now for all the lady out there! 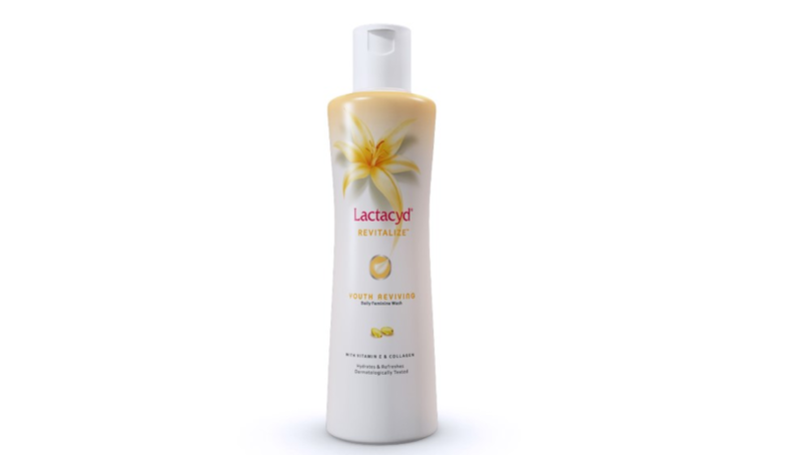 Basically, Lactacyd not only helps to complete our beauty regime by taking care of our V , it also inspires confidence in women by encouraging them to follow their dreams and strive to make their aspirations a reality. Join this CONTEST NOW!! Lactacyd will be giving out RM30,000 start up fund for the participant who gets the highest votes among all. What are you waiting for? Participation is simple: Log on to the Lactacyd "Veni, Vidi, Vici" Contest Facebook app, register your details and tell us your brilliant business idea. 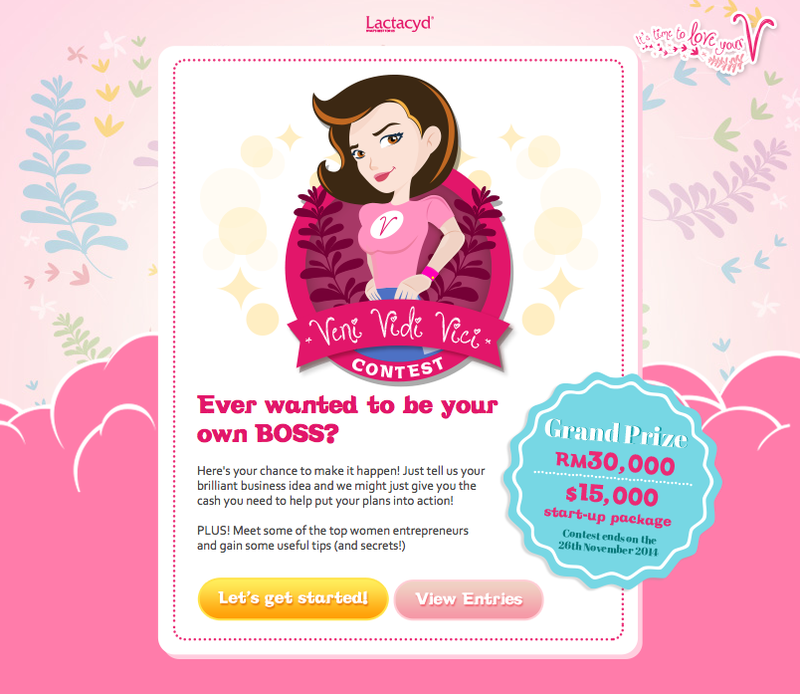 The GRAND PRIZE WINNER at the end of the contest period wins a business start-up package worth RM30,000! The TOP 10 FINALISTS will also be given the opportunity to have 1-on-1 interview sessions with women of substance from top international companies to receive first-hand tips. If any one of you've got a million dollar business idea. But you have no idea where & how to start….Well, here's your chance to score a once-in-a-lifetime opportunity to meet these top women entrepreneurs and gain valuable tips from the best! Go visit their FB page! I love the Revitalize wash as it has a nice minty sensation and keeps my v-zone comfortable and refresh. This is perfectly cater to my lifestyle as i love outdoor activities and exercises a lot. And most importantly it keeps my skin smooth and firm as well with its additional ingredients of Vitamin E and Collagen. Hence, cleansing my v-zone with Lactacyd has been one of the daily regime that I can’t skip every day and it’s so important for me as I’m so used to have this cooling and clean sensation on my V-zone and also the smooth and firm skin I get after! However, I used to have wet tissue with me when I’m out to keep my v-zone clean until I found out Lactacyd Wipes which providing on-the-go freshness which is perfectly solve my problem when I’m out for a long day and would wish to keep my v zone from odor and bacteria!